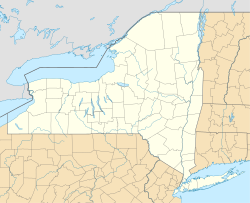 The ceety o Ithaca is in central New York an is the coonty seat o Tompkins Coonty, as well as the lairgest commonty in the Ithaca-Tompkins Coonty metropolitan aurie. 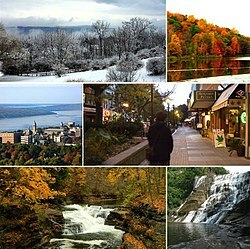 ↑ "The Rift Makes Ithaca Shift". HepsTrack.com. HepsTrack, LLC. 31 March 2014. Retrieved 27 April 2014. This page wis last eeditit on 11 Mairch 2018, at 17:22.